SIZE: 1 1/4" x 1/2"
A duo from down under. 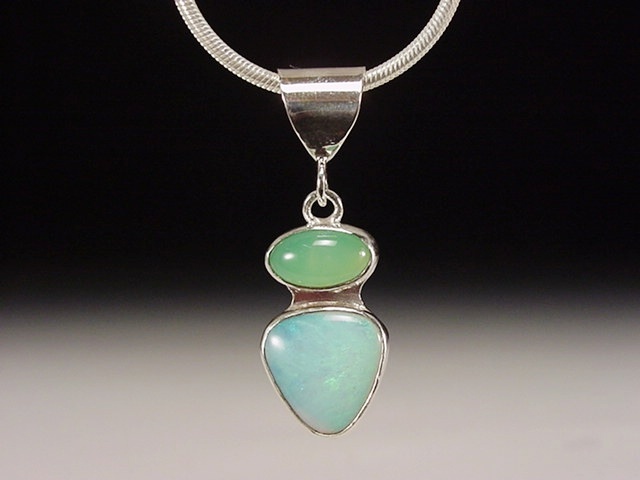 A solid white Australian opal with great green-blue fire topped with bright Australian green chrysoprase. The pendant is sterling and comes with a 16" snake chain.